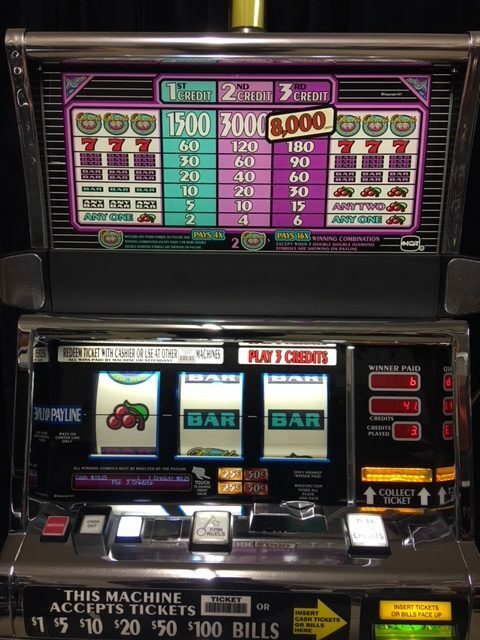 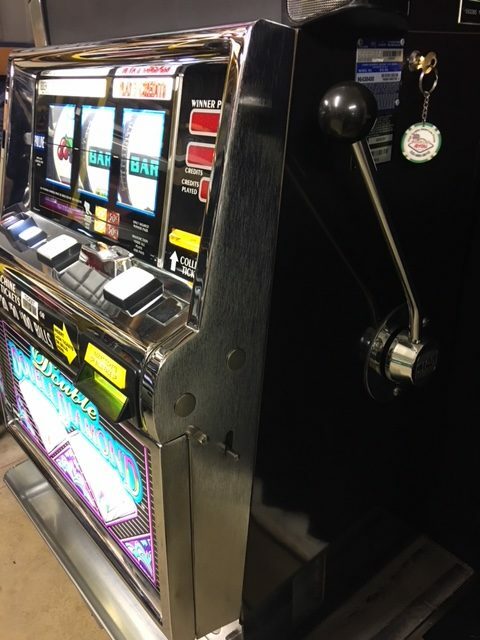 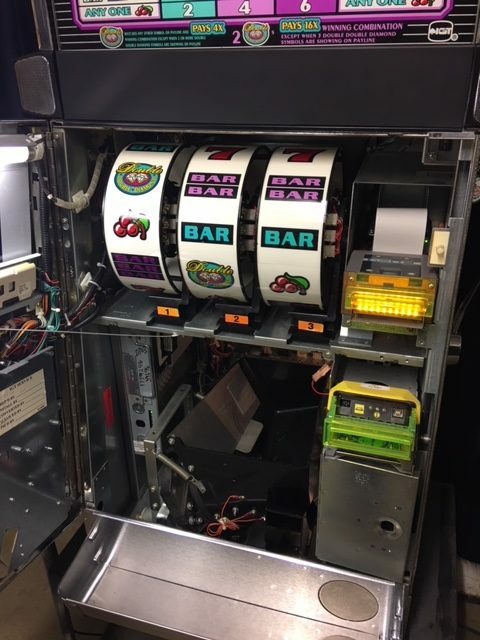 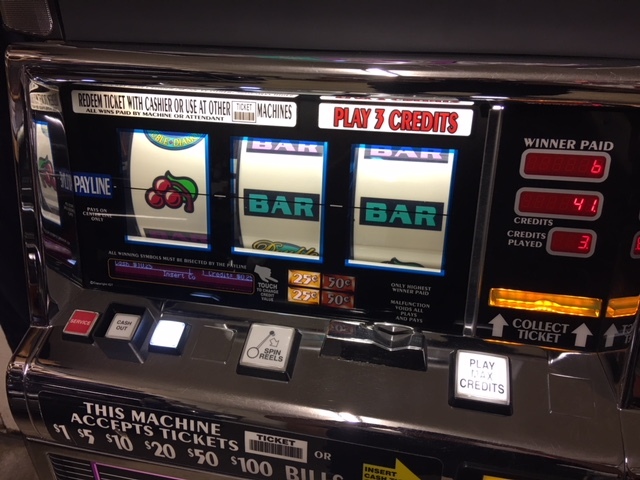 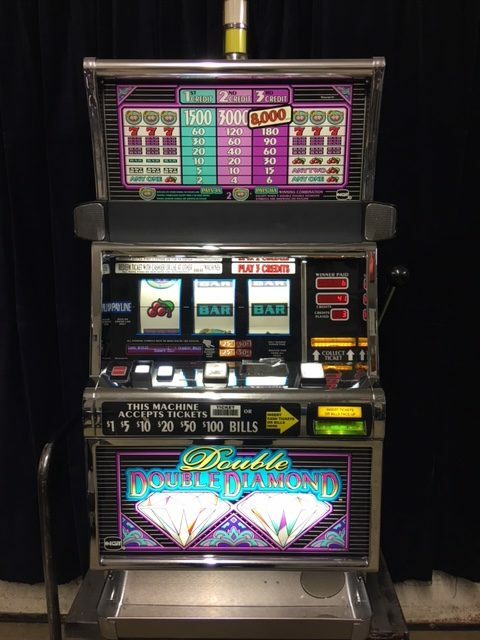 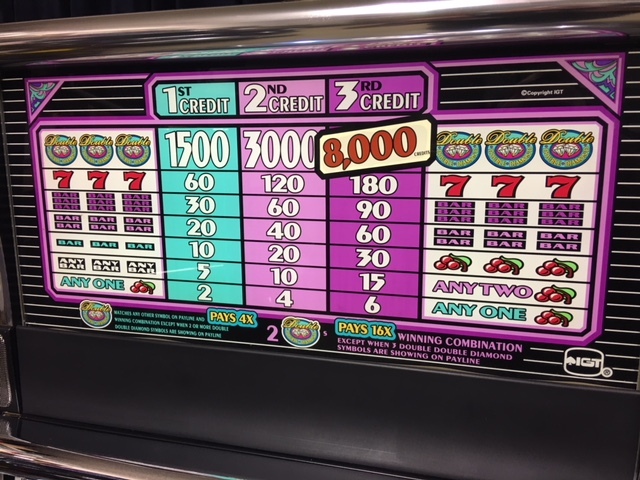 Category: Slot Machines Tag: Double Double Diamond Brand: IGT. 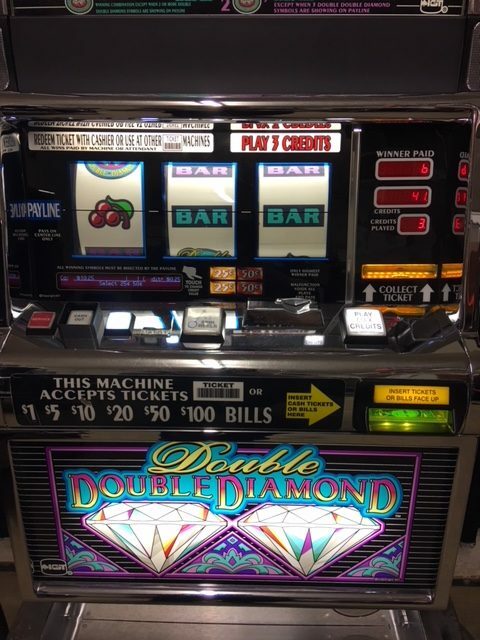 Line up a Double Double Diamond Symbol on the Pay-Line and Multiply Your Winnings by 4 times. 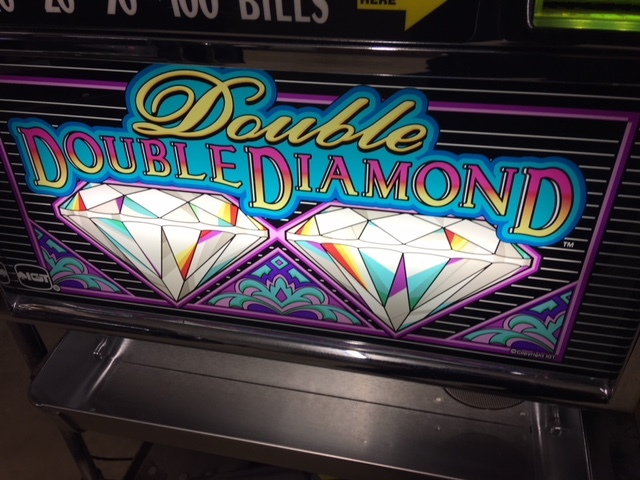 Line up 2 Double Double Diamond Symbol on the Pay-Line and Multiply Your Winnings by 16 times. 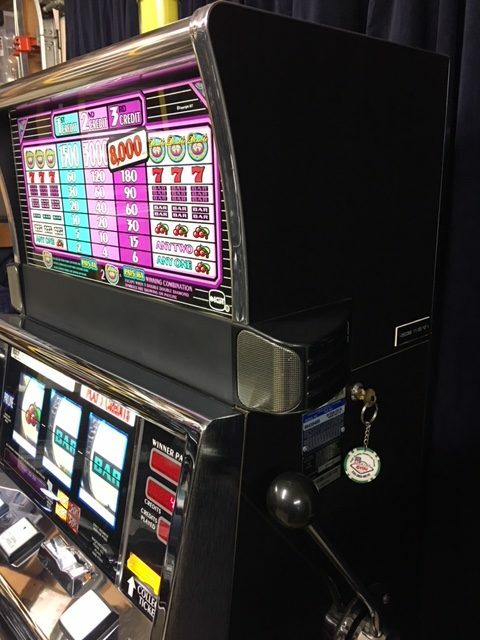 Back-Lite Reels, LED Button Bulbs, Nice Black Laminate Cabinet. 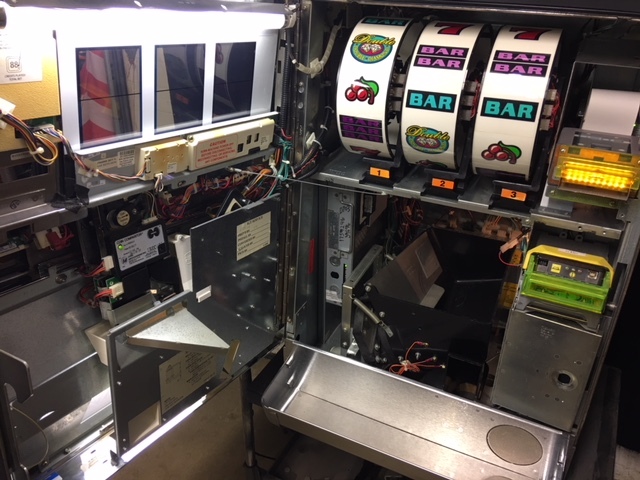 Note: Machine pictured no longer accepts quarters and is .25 cent denomination only.